Verkaufe Brockhaus Konversations-Lexikon im super Zustand, fast nicht gebraucht aus dem Jahr 1895. 17 Bände, 14.vollständig neubearbeitete Auflage. Revidierte Jubiläums-Ausgabe. (Grundlexikon A-Z & Supplement-Band). Alle Farbbilder, Abbildungen und Karten unberührt und vorhanden. 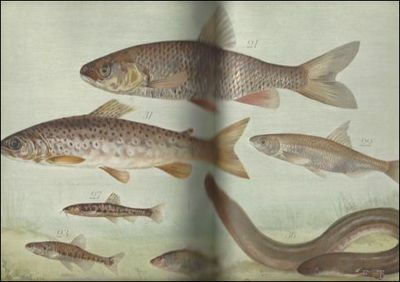 Poissons et crustacés des eaux douces et saumâtres de la Belgique. et poissons etrangers; y introduits ou dont l'acclimation serait desirable. Bruxelles Vanbuggenhoudt 1895. Relie, cartonnage illustré de l'editeur, 47 pages et 8 lithographs . 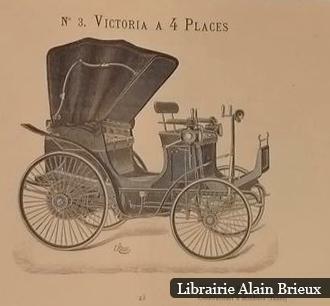 chromolithographes d'apres les aquarelles de Mr. Paul DELHEZ. poissons et crustacés de la faune Belge, poissons étrangers a la faune belge qui y ont été introduits ou que l'on pourrait utilement y introduire. + nomenclature FR /NL /DE/Latin. 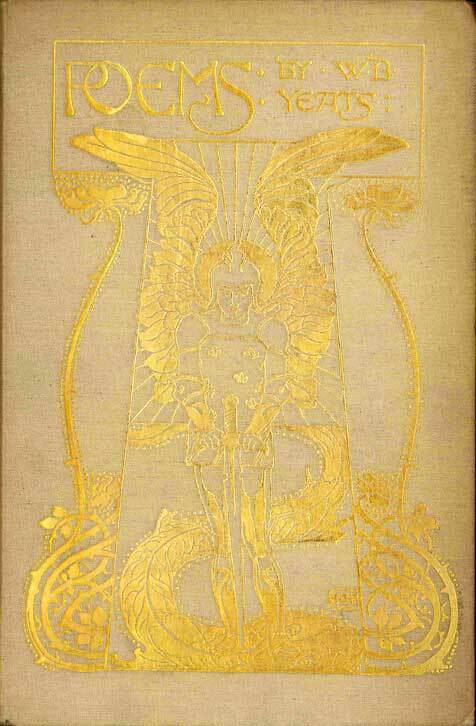 T. Fisher Unwin / Copeland and Day, London & Boston 1895 - Tan cloth, elaborately stamped in gilt after a design by H.G. Fell, t.e.g. Spine faintly darkened, with a couple minor marks, else near fine. First edition, US issue, with the cancel title-leaf. This copy is of the form of this issue with the joint imprint on both the title page and at the toe of the spine. Wade suggests, based on the observations of others, that some (the earliest?) copies have only Unwin's name on the title, and Copeland & Day's imprint added to the spine only. However, the upcoming Wade revision provisionally (as of early 2004) assigns "first issue" status to those copies in this form. 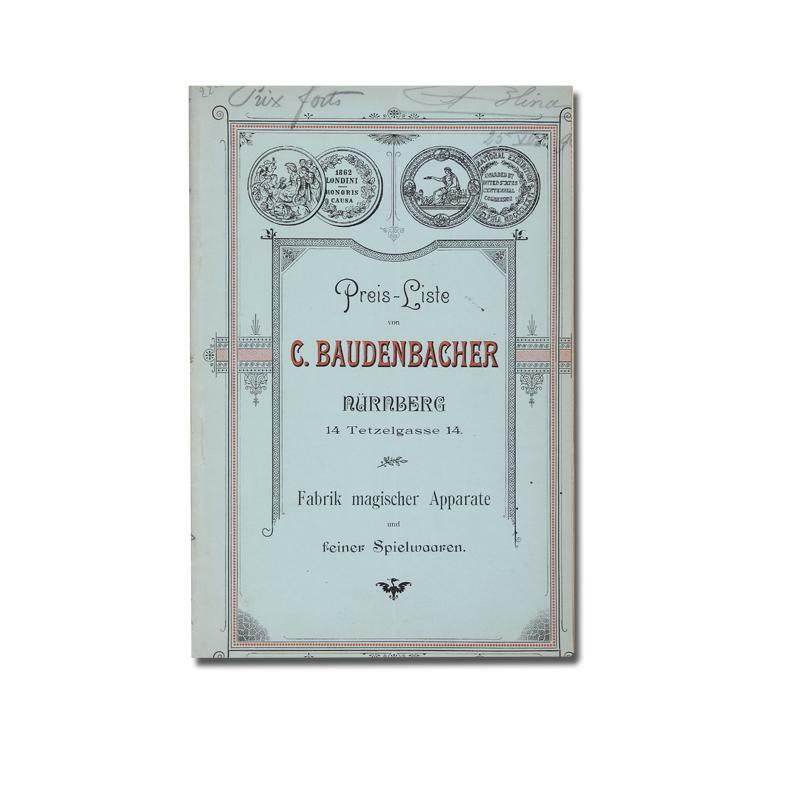 The British issue consisted of 750 copies; the number of copies issued in this form is unrecorded, although Kraus indicates that 117 copies remained in the Copeland & Day stock in May of 1899. This American issue features gilt top edges; those of the British issue are not gilt. WADE 16. KRAUS 29. Boston : Massachusetts Woman Suffrage Association, 1895-01-01. First Edition. Hardcover. Good. First edition. Octavo, 15 cm. 81 pp. Original maroon cloth, gilt title to front board and spine. Fading to spine and front board with some spotting to front board. Clean, unmarked pages. <br> George Ernst was a Massachusetts lawyer and progressive Republican who spoke at the 1895 Annual Meeting of the Woman's Suffrage Association. 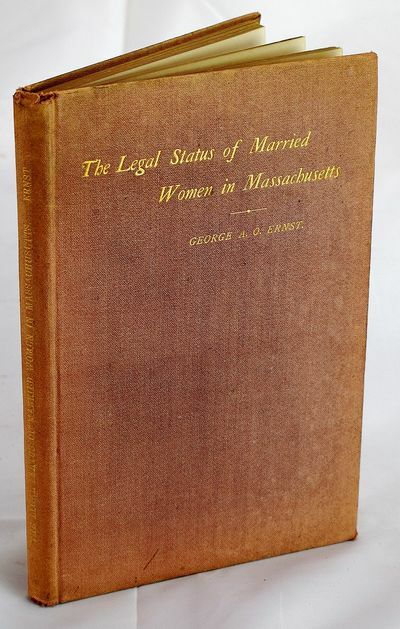 In this book he outlines the history of married women's legal rights and responsibilities from the Common Law through judicial decisions and legislative acts in Massachusetts and the United States to the early 1890s. He discusses a broad range of legal issues from real estate, custody of children, and wills. The majority of the essay regards the legal right of married women's earnings and property in regards to their husbands. Ernst focuses on the limits to inheritance for wives whose husbands predecease them but fail to make a will. In such a case, the maximum amount a wife could inherit would be 50% and even less if there are children or relatives. Judges and probate courts held power over wives who had limited legal ability to obtain control of assets held in common. He ends his book with the question, "This is law, but is this justice? Berlin: Heimstätten-Akt.-Gesellschaft. Original document. Loose leaf. vg. Elephant Folios. 2 Broadsides (18 x 11 3/4"). 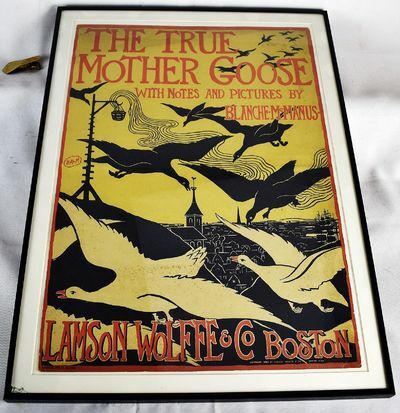 Original illustrated broadsides with black lettering. &#11;&#11;1. Die Villen-Colonie Carlshorst&#11;&#11;Originally planned to house workers and public officials, as approved on May 25, 1895 in the so-called "Colonie-Consens," the plans for the construction of the colony were soon altered in favor of villas, due to the increase in popularity of the neighborhood that included a harness racing track. The area is also known as the Quarter of Princes based on the street names given in honor of the six sons of Kaiser Wilhelm II. Heimstätten-Aktien-Gesellschaft (Homestead Corporation) was founded by architect and public official Oscar Gregorovius and the building association Eigenhaus (homestead) with Gregorovius holding the title registration, the power of attorney for negotiations with the administration and the development planning. The cornerstone for the first residential dwelling on the Kaiser-Wilhelm-Straße was laid on May 28, 1894, with the construction office located in the quarter.&#11;&#11;The broadside is an architectural layout of the complete development and close surroundings on a scale of 1:2,500 bordering the tracks and train station of the Niederschlesische-Märkgräfische Eisenbahn. 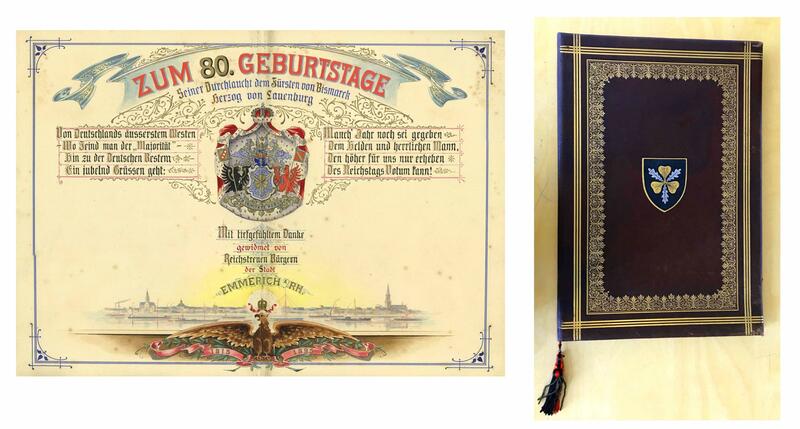 It features a drawing of the Kaiser Pavilion and the intricately designed slogan of the Heimstätten-Aktien-Gesellschaft "My House - My World!" above a printed decorative company message board, entitled Die Villen-Colonie Carlsberg with company address at the bottom, and a reference to the larger project "Colonies in Schlachtensee-Mahlow," both with elaborate floral design. Erected in 1895 the Kaiser Pavilion was used as a chapel for services of both denominations, Catholic and Protestant, starting in 1897 and torn down in 1930. &#11;&#11;2. Die Villen-Colonie Schlachtensee&#11;&#11;The development of the Eastern part of the Villa-Colony Schlachtensee started in 1894 and turned out to be very successful for the Heimstätten-Aktien-Gesellschaft. Subsequently two more developments followed, Schlachtensee West in 1898 and Nikolassee in 1901. The name Schlachtensee refers to a lake in the district of Berlin Zehlendorf. The first villa in this development was that for the family Bültzingslöwen, the uncle of German painter Paula Modersohn-Becker. Built in 1894 it was bought by Kommerzienrat (honorary title for personalities of the economy) Otto Weber. it was known as the "Villa Weber" until its demolition in 1970. &#11;&#11;This broadside also is an architectural layout of the the complete development Schlachtensee bordering the tracks and train station Schlachtensee and the lake of the same name in the north. The scale is not mentioned here but is similar to the Carlshorst layout. It features two drawings of seemingly villas in the project and, as the other broadside, a printed message board entitled Die Villen-Colonie Schlachtensee framed with floral decorations and architectural symbols as well as company name and address at bottom. Both broadsides contain elaborate park areas. &#11;&#11;Text in German. Both broadsides with some wear along edges, small closed tears and creasing and Schlachtensee with a small stain at right boarder not affecting the imagery. Broadsides in overall very good condition. 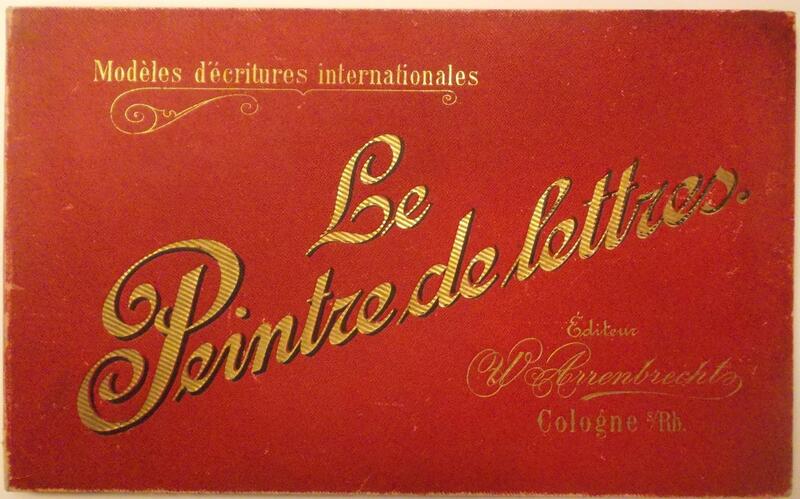 Le peintre de lettres. Modèles d'écritures internationales. 40 chromolithographische Tafeln. Zum 80. Geburtstage Seiner Durchlaucht dem Fürsten von Bismarck Herzog von Lauenburg - Von Deutschlands äusserstem Westen - Wo Feind man der "Majorität" - hin zu der Deutschen Bestem - Ein jubelnd Grüssen geht: - Manch' Jahr noch sei gegeben - Dem Helden und herrlichen Mann, Den höher für uns nur erheben - Des Reichstags Votum kann! - Mit tieffefühltem Danke gewidmet Reichstreuen Bürgern der Stadt Emmerich A/Rh. - 1815 - 1895'. - Aquarelliertes Widmungsblatt (42 x 57 cm) der Stadt Emmerich zu Bismarcks 80. Geburtstag. - Mit kalligraphischem Text in Schwarz, Gold, Rot, Blaeu und Braun. - Das Widmungsblatt in einem braunen Ledereinband über Holzdeckeln mit Goldprägung und Wappen (45 x 31 cm). - Innendeckel mit Seide überzogen. - Am unteren Rand des Widmungsblattes Gesamtansicht von Emmerich über den Rhein gesehen. - Sehr gut erhalten! Wagner, Richard]. - Oesterlein, Nikolaus. Katalog einer Richard Wagner-Bibliothek nach den vorliegenden Originalien systematisch-chronologisch geordnetes und mit Citaten und Anmerkungen versehenes authentisches Nachschlagebuch durch die gesammelte Wagner-Litteratur. (Bde. 3 u. 4 unter dem Titel: Beschreibendes Verzeichniß des Richard Wagner-Museums in Wien. Ein bibliographisches Gesammtbild der kulturgeschichtlichen Erscheinung Richard Wagner&#145;s von den Anfängen seines Wirkens bis zu seinem Todestage dem 13. Februar 1883). 4 Bände. 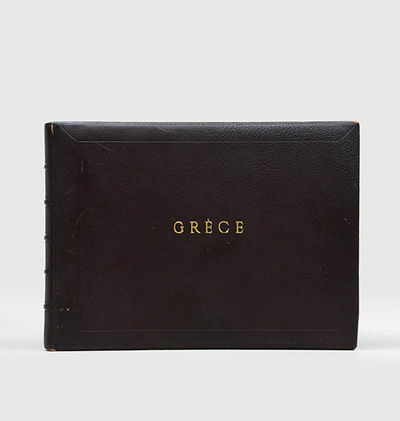 Grèce. Album of Forty-seven Large Original Collotype Photographs Including Five Panoramas of Southern Greece. Philadelphia: George Barrie, 1895. Copy #253 of 500 of the Imperial Japan Library Edition printed for Mr. Joseph T. Torrence Chicago, Illinois. 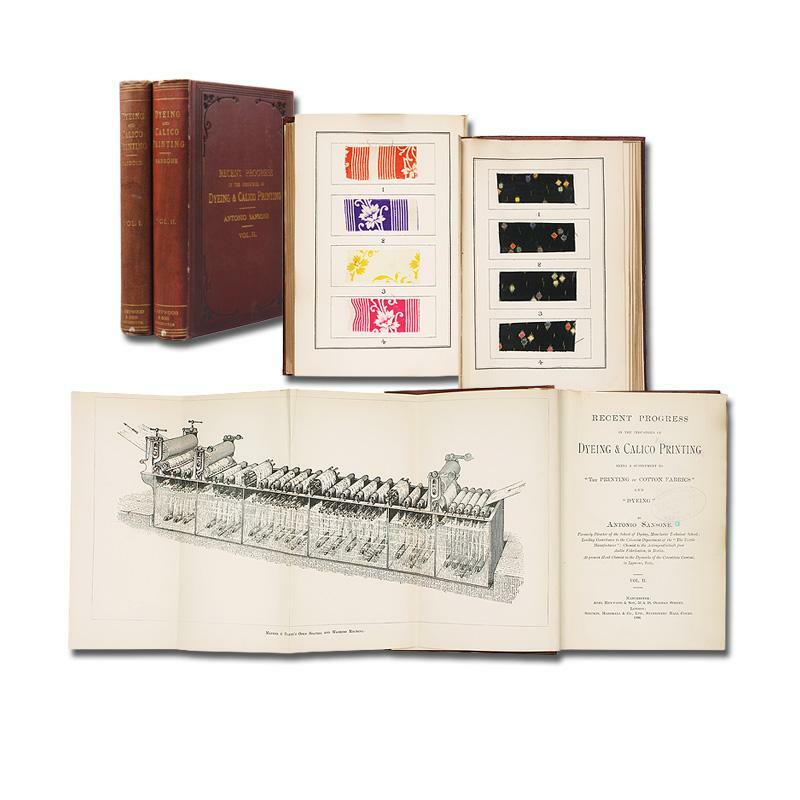 Illustrated with photogravures in 2 states after De Los Rois, Prodhomme, Wagrez. Printed on Japan vellum. 8 vols. Bound in three quarters crimson morocco, t.e.g. VG. Spines lightly sunned, tips slightly rubbed, else fine. Copy #253 of 500 of the Imperial Japan Library Edition printed for Mr. Joseph T. Torrence Chicago, Illinois. Illustrated with photogravures in 2 states after De Los Rois, Prodhomme, Wagrez. Printed on Japan vellum. 8 vols. Tipped in to volumes 1 is an albumen photo of Dumas and 1 page ALS from Dumas dated in pencil Feb. 27, 1831. "Mon cher Monsieur Caudebert, Vous donez [???] de Picard que est enfin placé, voulez vous me l'envoyer maintenant qu'il est à méme [???] payer je voudrais le prefer un peu. mille et mille amities, Al Dumas"
Der Gang des Menschen. 1.-6.Abt. (all publ.). Boston: Copeland and Day, 1895. First edition, first printing. Hardcover. Good. 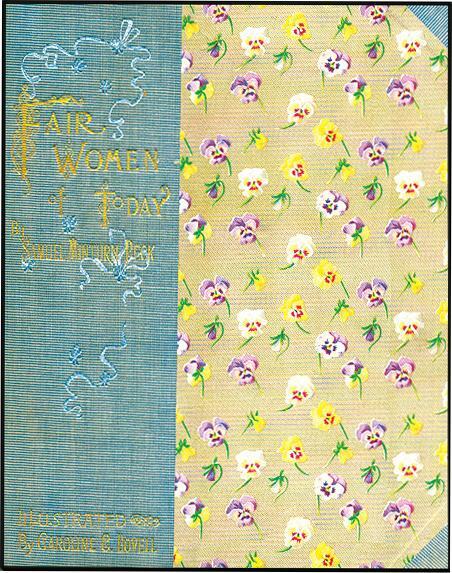 Illustrated by Ethel Reed.. 4to. (8),103,(1)pp. Tan cloth printed in black. Red pictorial endpapers. Title page in red and black. Illustrated with 15 full page illustrations. Introduction by Mary E. Wilkins. Occasional light scattered foxing and staining; rebacked with original spine paid on (lacking spine tips); edge and corner wear, and inner hinges worn. Still, a good copy of a rare children's book. London, 1895. unbound. near fine. 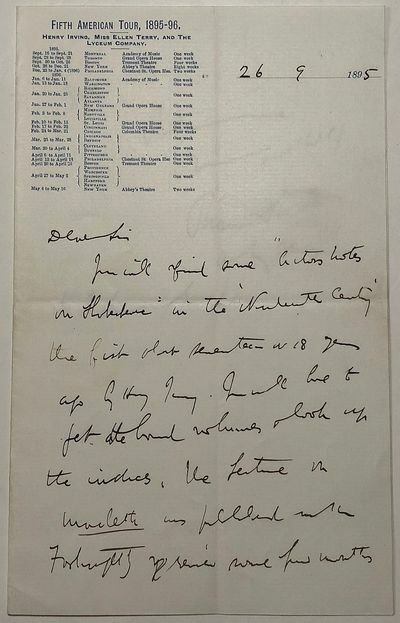 2 pages on adjoining sheets each measuring 8 x 5 inches, London, September 9, 1895, while serving as Sir Henry Irving's business agent, telling the recipient that: "You will find some 'Actors Notes on Shakespeare' in the Nuhutte Century, the first about seventeen or 18 years ago by Henry Irving. I will get the hard volume and look at the indexes for the feature on Macbeth..." Light central vertical and horizontal folds; near fine condition. 2 pages on adjoining sheets each measuring 8 x 5 inches, London, September 9, 1895, while serving as Sir Henry Irving's business agent, telling the recipient that: "You will find some 'Actors Notes on Shakespeare' in the Nuhutte Century, the first about seventeen or 18 years ago by Henry Irving. I will get the hard volume and look at the indexes for the feature on Macbeth..." Light central vertical and horizontal folds; near fine condition. Irish author best known for his horror classic "Dracula. 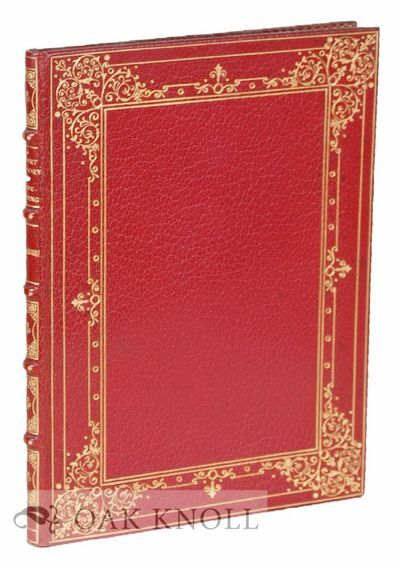 London: Printed at the Chiswick Press for J. Zaehnsdorf Ltd, 1895. full leather, gilt ornamentation on covers, spine, and pastedowns, five raised bands, silk pastedown and endpapers, original stiff paper wrappers bound in. Bookbinding. square 8vo. full leather, gilt ornamentation on covers, spine, and pastedowns, five raised bands, silk pastedown and endpapers, original stiff paper wrappers bound in. 38 pages. S-K 310. Short history followed by advertising for the firm. Not in Brenni. In a lovely full calf binding with gilt ornamentation around the covers, spine, and pastedowns well executed by Blackwell. Bookplate of the famed Americana collector Frank C. Deering on front free endpaper. Only the smallest hint of spoting to the leather covers and spine. 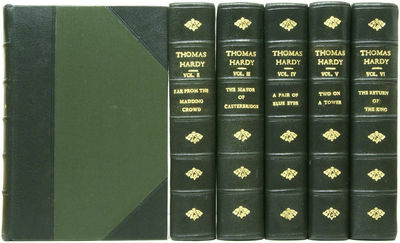 The Works of Thomas Hardy. The Wessex Novels. London: Osgood, McIlvaine and Co., 1895-6. FIRST COLLECTED EDITION. 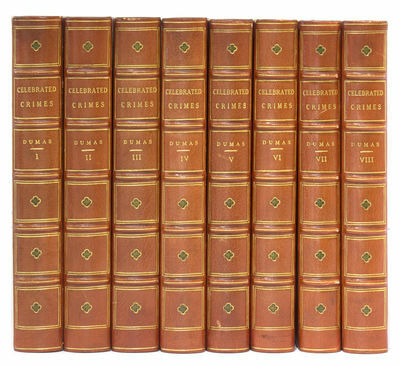 18 volumes, octavo. With illustrations. Elegantly bound in recent green half morocco with gilt to spines, green cloth boards, top edges gilt, others untrimmed. Minor toning; a clean, fine copy inside and out. 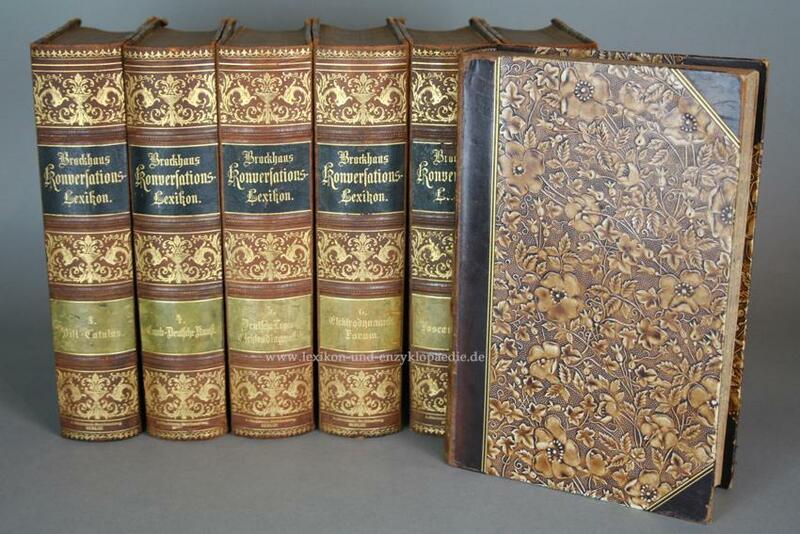 A handsome set in a robust recent leather binding. Contains three first editions; Jude the Obscure, Well Beloved and A Changed Man. All titles published by Osgood McIlvaine, except for A Changed Man, published by Osgood. 4th, revised, corrected, and enlarged edition. 6 vols. London: Nimmo 1895-97. Beautifully illustrated with 394 handcoloured plates. Uncut copy bound in publisher's, a little worn pictorial cloth, internally clean. * The work deals broadly with individual species, for instance as regards their distribution, occurrence in the British Isles, and habits, the birds themselves and their eggs being also described. The number of species included in the work increased gradually as new species were added to British avifauna. This comprehensive and very popular work appeared for the first in 1850-57 but has since then passed through several editions owing to its great popularity. Containing many figures of British birds shown on its hand-coloured pates, for which the wood-blocks were originally engraved by the printer of the first edition B. Fawcett, largely from drawings by Richard Alington [Anker].Nissen 645. Anker 346. Zimmer 443. Ali SEREF PASA (also Haf?z Ali Esref, Istanbul ? - 1907). Beyazit, Istanbul: Matbaa-i Amire . 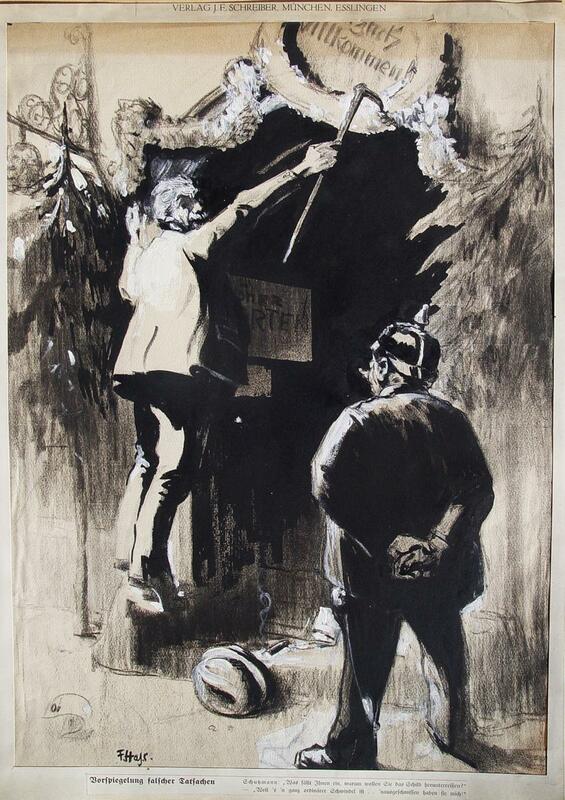 1895 - Lithograph in colour (Very Good, soft folds, slightly age-toned) 39 x 50 cm (15.3 x 19.7 inches). A rare map of Mexico by Ali ?eref Pa?a was published in an Ottoman press Matbaa-i Amire, which was a successor of ?brahim Müteferrika's press from the early 18th century. 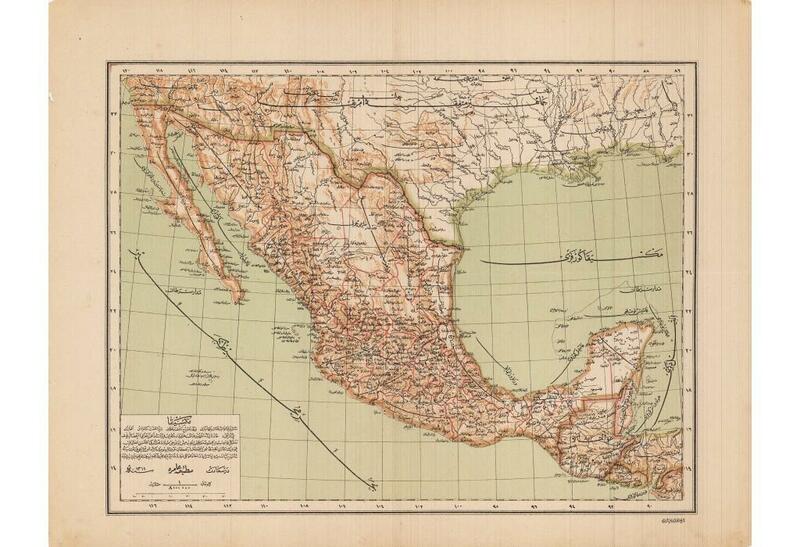 This rare map of Mexico in Ottoman script was publishes in an atlas ??? ??????? ????? (Yeñi co?rafya a?las? ), which was issued in Istanbul in the late 19th century. The maps from this atlas are not numbered and unclear is the exact date of publication. We could only trace one example of this atlas in libraries worldwide in the University of Chicago Library. 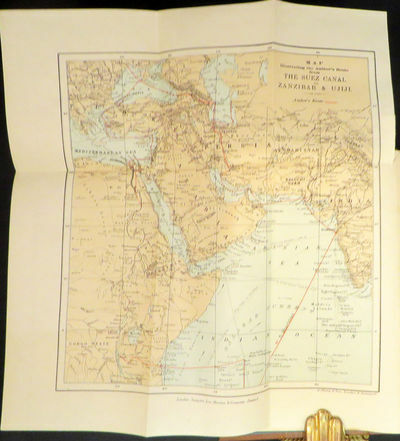 The atlas includes 41 maps and is dated in circa 1892. The maps in our descriptions are dated in 1893 and 1896. It is possible the atlas was published in revised editions with different numbers of maps. All the maps from this atlas are rare today. Ali Seref Pasa or Haf?z Ali Esref - Not much is known about the author, who was known as Ali Seref Pasa or Haf?z Ali Esref. He was a soldier, who was schooled in Paris as a cartographer around 1862. Already in Paris he published his first atlas with 22 maps, called Yeni atlas. Upon his return to Istanbul he became a chief cartographer at the Matbaa-i Amire Printing Press in Beyazit, which was the successor of the Müteferrika press from 1727. Among others he translated the large Kiepert map of Anatolia to Ottoman. He died in 1907, leaving his large project of a gigantic map of Anatolia in 100 sheets unfinished. Ali&#146;s name is often misunderstood or even listed as two different people: Ali ?eref Pa?a and Haf?z Ali Esref. Until the surname law adopted on June 21, 1934, Turks did not have surnames. They were born with one first name and were until the adulthood described only as sons or daughters of their parent&#146;s names. Later they were given titles such as Effendi (Sir), Bey (Chief) or Han?m (Madam) for higher classes, or they were given names according to their work or class. The names were not inherited by children until 1934, when the surname law was enforced. The map maker Ali received names Seref, the honourable, and Pasa, the dignitary. He was also known as Haf?z, the memorizer of Qur'an, and Esref, proud. So Ali Seref Pasa would have a meaning Honourable Dignitary Ali, and Haf?z Ali Esref, Memorizer of Qur&#146;an Proud Ali. Darütt?baa - Matbaa-i Amire Printing Press - The first press in the Muslim world, called Darütt?baa, was founded in Istanbul by ?brahim Müteferrika in 1727, with a permission of Sultan Ahmet III. It was located in Müteferrika&#146;s house. The first book was published in 1729 and until 1742 sixteen other works followed. After Müteferrika&#146;s death the press was supressed for printing, as printed books were considered dangerous. In 1796 the press was purchased by the government and moved to Üsküdar in Istanbul, and in 1831 finally to Beyazit, where it was renamed to Matbaa-i Amire in 1866. The press was closed in 1901 and was reopened in 1908 under the name Millî. In 1927 the name changed to State Printing House. The press still exists and is known for publishing school and educational books. CASEMENT Sir Roger. 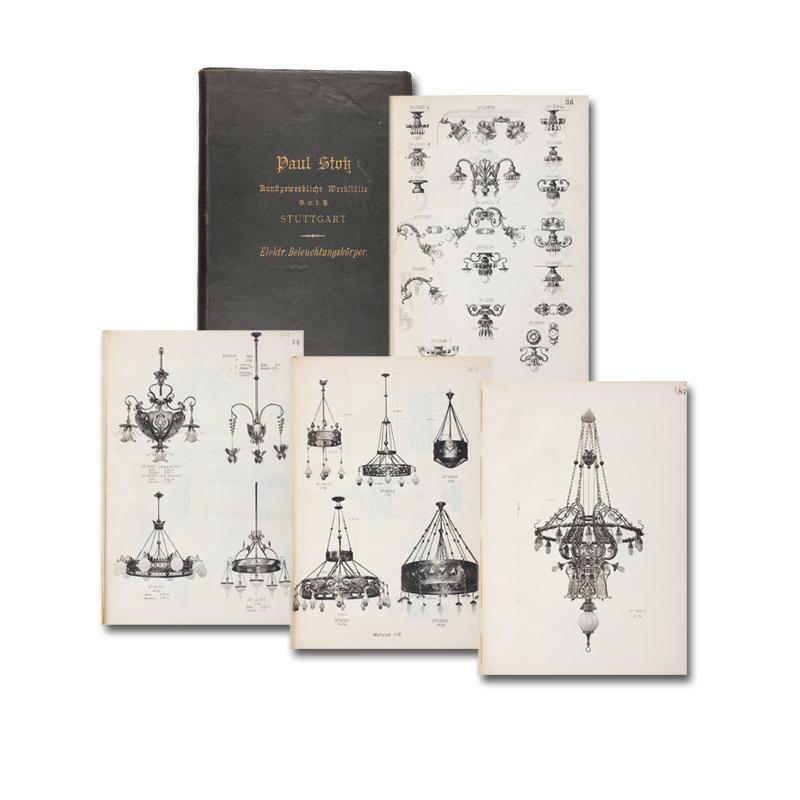 ; SCULLY W. C.
Decorative initials and vignettes to the text. First edition. Slim 8vo., tan cloth, t.e.g. London, T. Fisher Unwin. John Lane , 1895 . 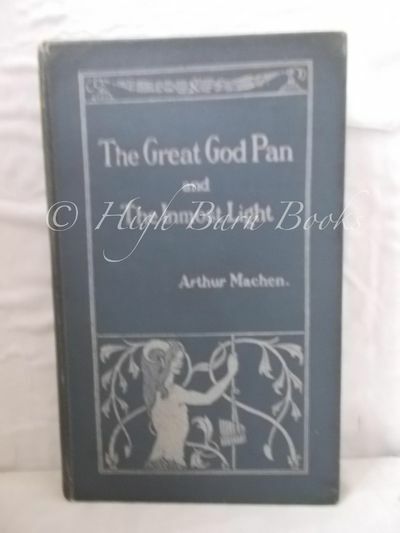 Hardback. . 12mo original publisher's blue decorated cloth with gilt title on spine and white decoration. 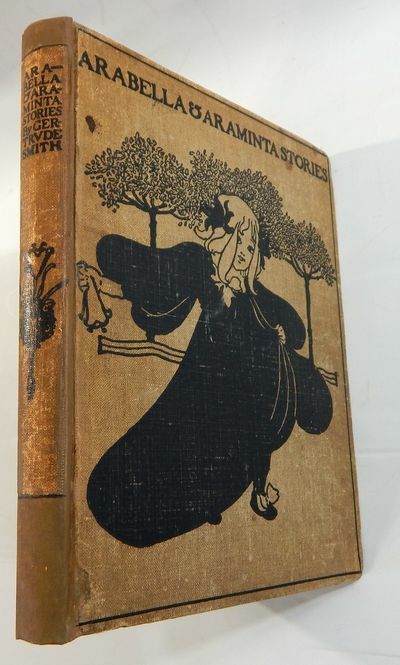 Illustrated title page and cover design by Aubrey Beardsley. Good+ hardback. 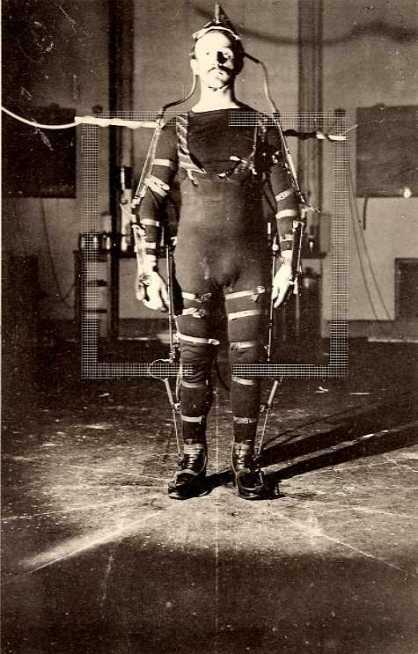 Light edgewear, spine extremities bumped. Pages uncut, lightly age-toned. Contents clean and unmarked. 1895. run of 1897-1948 in hardback, please enjoy them. 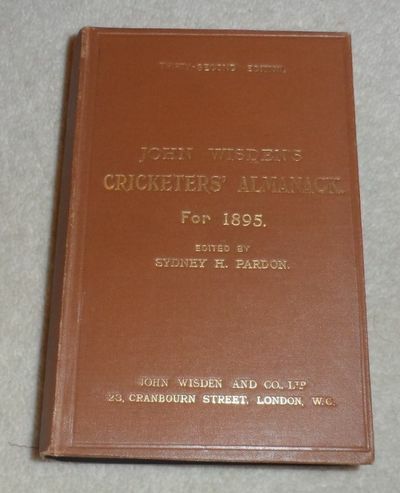 -------------------------------------------------------------------- This is a very special 1895 Wisden, rebound by Wisden in the middle of the 20th Century to mimic an 1896 hardback, a quirky Wisden that will appeal to some. The similarities to a hardback are that the paste downs are yellow (with a Liverpool cricket club stamp) , the gilt on the covers and spine are identical to that of an 1896. It is slightly smaller by 1/8th inch , smoky top to page block and severe foxing around photo plate, the uniqueness is what will appeal. Hard to price up but Gorringes sold a similar copy (spine less like an 1896) for £750+20% and selling for less than we purchased it for. Inis-owen and Tirconnell. 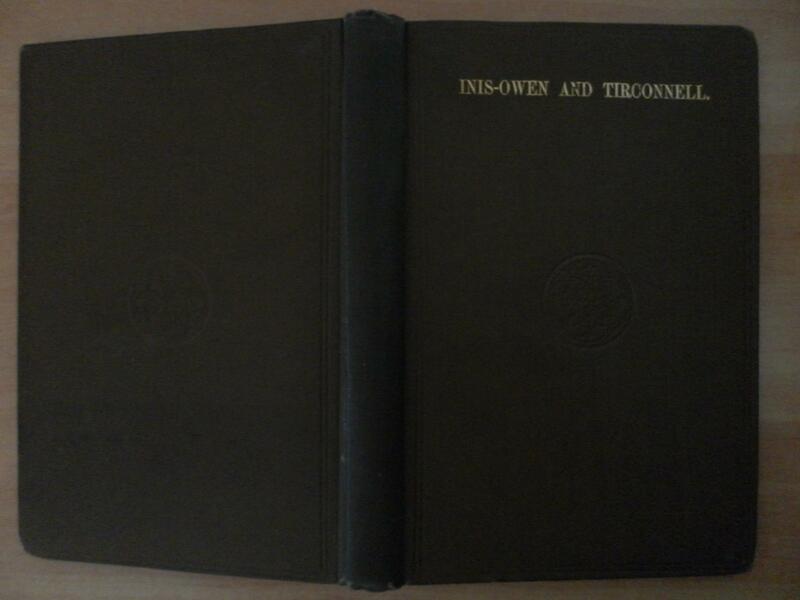 Being Some Account of Antiquities and writers of the County of Donegal. At that time, when the medium was in its infancy, writers frequently alluded to the evocative power of the photographic image, to which long habituation had dulled our response" (Andrew Szegedy-Maszak in Antiquity & Photography: Early Views of Ancient Mediterranean Sites, 2005, p. 13). This is particularly true of the later work of the Rhomaides Brothers, covering the newly discovered splendours of Greek civilization and giving greater resonance to Poe's timeless eulogy, encapsulated in the line: "the glory that was Greece". - A. Ferroud, Paris 1895, 16x25cm, relié sous étui. - Edizione illustrata con 26 composizioni originali di Luc-Olivier Merson incisa incisioni di Gery-Bichard, uno di 500 copie numerate archi. Bound in pieno vitello marrone satinato, torna liscia decorato con doppie ruote cartuccia d'oro su copricapi d'oro, inquadrando le reti dorate quadruple e un freddo timbrato fregio sui piatti, piatti decorati loro centri di un piatto grande carta verniciato animale modo modello sogno elaborato, inquadrando le discussioni quadruple e dorate pennacchi motivi floreali su contreplats, contreplats ornate con un grande piatto di medaglioni animali modello di carta verniciato incorporati in una croce greca, -anche è incorniciato da piante e motivi liturgici ortodossi, le guardie allineato con seta verde, doppie reti dorate sui tagli, coperture conservati, tutti i bordi dorati, nel caso di cartone flessibile e in marmo, eccezionale legatoria firmato Gruel. penna autografo Firmato di Jeanne Rollince professor Leguen su una legatoria copertina. relativo opuscolo pubblicitario in-fine. esempio magnifico set in uno scenario spettacolare legante Gruel. - [FRENCH VERSION FOLLOWS] Edition illustrée de 26 compositions originales de Luc-Olivier Merson gravées à l'eau-forte par Géry-Bichard, un des 500 exemplaires numérotés sur vélin d'Arches. Reliure en plein veau glacé brun, dos lisse orné d'un double cartouche doré, roulettes dorées sur les coiffes, encadrement de quadruples filets dorés et d'une frise estampée à froid sur les plats, plats décorés en leurs centres d'une grande plaque de papier verni à motif animalier traité de façon onirique, encadrement de quadruples filets et de motifs floraux dorés en écoinçons sur les contreplats, contreplats ornés d'une grande plaque de papier verni à motif de médaillons d'animaux enchâssés dans une croix grecque, elle-même est encadrée de motifs végétaux et liturgiques orthodoxes, gardes doublées de soie verte, doubles filets dorés sur les coupes, couvertures conservées, toutes tranches dorées, étui en plein cartonnage souple et marbré, exceptionnelle reliure d'art signée de Gruel. Envoi autographe signé à la plume de Jeanne Rollince au Professeur Leguen sur une garde de la reliure. Prospectus publicitaire relié in-fine. Magnifique exemplaire établi dans une spectaculaire reliure à décor de Gruel. Stuttgart (Ca ) 1895 - (37,5 x 27 cm). 138 Tafeln mit fotografischen Abbildungen. Original-Leinwandband. Musterbuch der Stuttgarter Kunstgewerblichen Werkstätte, überwiegend für Wand- und Deckenleuchten teils im beginnenden Jugendstil. - Der ausWasseralfingen stammende Kunsterzgießer Paul Stotz (1850-1899) leitete ab 1876 die neu gegründete kunstgewerbliche Abteilung der väterlichen Eisengießerei. In den 80er Jahren erweiterte er die Produktionspalette um elektrische Beleuchtungskörper und gründete 1891 die "Paul Stotz kunstgewerbliche Werkstätte GmbH". - Die Tafeln nicht durchgehend paginiert von 3 bis 112 mit Lücken und Mehrfachpaginierungen. - Fliegende Vorsätze entfernt. Letzte Tafel verso mit handschriftlichen Notizen. Einband leicht berieben und bestoßen, sonst gut erhalten. Recent progress in the industries of dyeing & calico printing. Being a supplement to "The printing of cotton fabrics" and "dyeing". 2 Bände. Preis-Liste. Fabrik magischer Apparate und feiner Spielwaaren. PRIMA ESPOSIZIONE INTERNAZIONALE D'ARTE VENEZIA 1895 NUMERO UNICO ILLUSTRATO. Venezia Luigia Alzetta Vedova Zanco 1895 In folio Pagine 12 Brossura editoriale a stampa. Alcune incisioni nel testo di cui una su doppia pagina. Lievissime tracce d'uso. Ottima copia. Rarissima pubblicazione edita in occasione della prima Biennale artistica di Venezia. Una sola copia conservata nelle biblioteche italiane. The Works of R.L. Stevenson. Including the famous titles and novels: Treasure Island, New Arabian Nights, The Black Arrow, Kidnapped, The Dynamiters, The Master of Ballantrae, Travels with a Donkey, Dr. Jekyll and Mr. Hyde, etc. Boston: Charles E. Lauriat, by arrangement with Charles Scribner's Sons 1895. 10 volumes. Octavo, complete. Frontispiece illustrations with tissue guards, title-pages printed in red and black. A very handsome set, finely bound for Lauriat in contemporary dark blue half morocco with red floral on-lays, gilt, marbled sides and endpapers, t.e.g. Internally very clean and partially uncut. Externally fine, but for some trivial wear. A handsome library set.